4 carbon pole spears in one! It is a 10 ft, 8 ft, 6 ft & 4 ft pole spear. And it fits in your dive bag! The Carbon Elite Traveler Pole Spear is the best Carbon Fiber pole spear package available..Period! Only the highest quality components go into this Carbon Elite package, making this a high speed, indestructible, fish killing machine. And, because MAKO Spearguns sells direct to you, instead of through dive shops, this high end, Carbon Elite Pole Spear package actually costs much less than the lower quality carbons sold at dive shops. 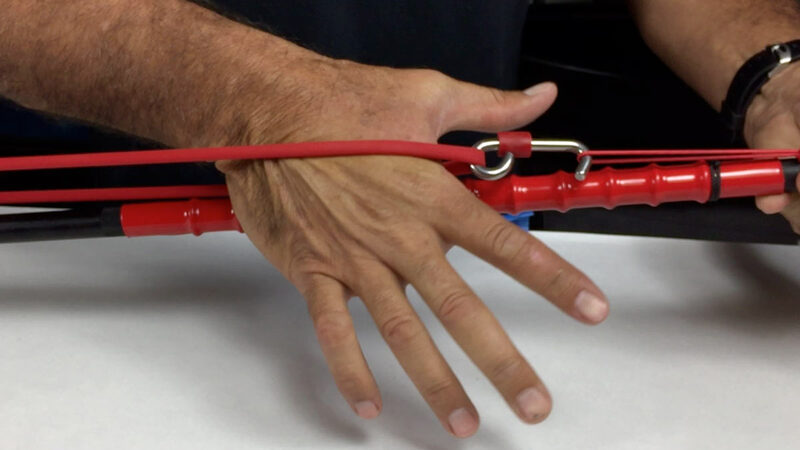 1 MAKO Power Band for 10 foot configuration. Extra bands can be added. Carbon Elite Pole Spear Bands are also available for the 8 foot, 6 foot and 4 foot configurations. Bands can be easily swapped out when using the Carbon Elite at different lengths. Additional pole spear bands can be selected in the table above. Optional Pole Spear Bands are available above for 8 foot, 6 foot, and 4 foot length configurations. Quality and finish is exceptional. Very light. Fast delivery. Parts fit tight. Will reorder from Mako and recommend the brand.